This post was written as a promotional program with HP, PicCollage, and MomSelect. All opinions are my own. I love giving personalized gifts for the Holidays. 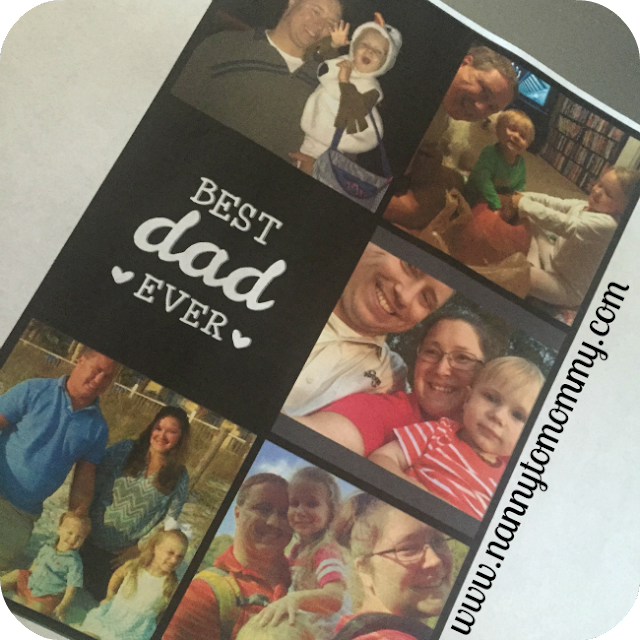 I upload pictures and share them with friends and family online all the time, but there is something extra special about personalized picture gifts. Especially for the people in your life who aren't on social media. I don't know about you, but I LOVE making picture collages. It's not always enough to post just one photo to showcase life's most precious moments. With the help of PicCollage, now it's easy to create customized, digital collages that truly capture the memories from those perfect days and share them with your friends and family! Currently available for both iPhone and Android devices, the PicCollage app allows you to easily showcase your memories all in one photo. Simply select pictures from your gallery, choose your background or template, add fun stickers and text, and then upload your collage to social media for everyone to enjoy! Making memories is fun, but what's more fun than sharing them with friends and family? 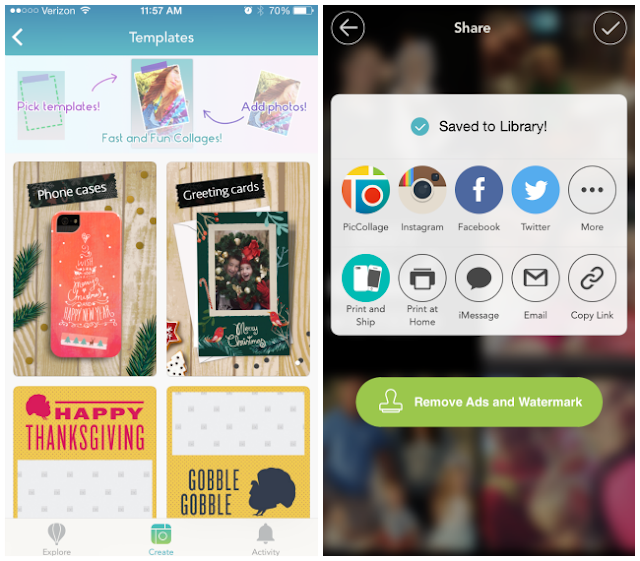 Thanks to technology from HP, PicCollage allows you to print directly from your phone onto a 5x7 inch photo sheet or a 4x6 inch photo sheet, making it easy to create tangible memories of your favorite collages to display! All you need is some photo paper and you are have an perfect gift they are sure to enjoy. Do you like giving personalized photo gifts? What do you think of the PicCollage app? This is a post was written as a promotional program with HP, PicCollage, and MomSelect. All opinions are my own. That's why I love my printer. These are pictures of pictures, so the quality is off, but my HP printer is awesome. I just buy photo paper and I have high quality pictures at a way better cost. PicCollage App looks promising! I like to print photos, especially my pet's pictures & stick them here and there, and this could come handy for me! Adding text, stickers makes it more fun & i love making collage of photos! Thanks for sharing.. I love getting and giving personalized gifts! I think this is absolutely wonderful! I use the PicCollage App it is the go to for anything that I post. It is super easy to use and share photos with family and friends. I just did a Twitter party for the PicCollage app and HP and I love the app. I use a couple of other similar apps on my phone but I am thinking I like this one the most! That looks so fun. I don't print photos very often but it looks like a great option. I do like making photo collages though. We capture the best moments on our phone.. and love it when there is an easy way like this frame them! I love this idea! We send out Holiday cards every year, speaking of, maybe it's time I start creating one.